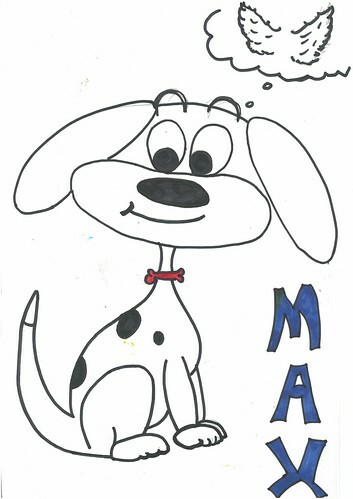 Once upon a time in Popoville, there was a dog called Max with an owner who always talked and chit-chatted. One day when Max was barking, “stop talking,” at his owner, something strange happened. His owner stopped blabbing. Then, after sixty seconds of silence while his owner Bob gave him food, the talking started again. It was like a virus. Max thought, I want to fly away. He climbed up on the table and tried to fly but landed on his head. “Ouuuuch,” Max howled. Bob did not notice because he was too busy talking to his pineapple. Max barked at Bob and ran away with his phone in his mouth. He knocked down one of his toys, a robot called Robo. “Ah,” Max woofed. He didn’t know what to say. Then, there was rattling and meowing coming from the ventilation system. 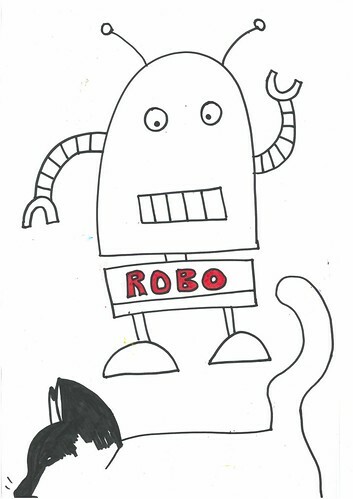 “Cat life form detected,” Robo said. “B-b-but I don’t like cats!” Max stuttered. The rattling got louder and Max felt shivers down his spine and started sweating.